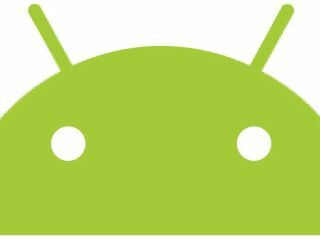 A new study has found that Google Android is slipping out of favour with developers. The mobile OS has seen a significant drop in popularity among developers in the last year, according to a study conducted by IDC and Appcelerator. This year the companies surveyed 2,173 out of the 280,000 developers on Appcelerator's mobile development platform. Mike King, principal mobile strategist at Appcelerator, told The Register that there's been "a steady erosion of interest in Android" among developers. "This slow erosion of Android is interesting," King said, "because if you go back to the beginning of last year, Android was not quite neck-and-neck [with iOS], but pretty darn close." A year ago, the number of survey respondents saying they were "very interested" in developing for Android for smartphones was just three percent behind iOS for iPhone's and two percent behind iOS for iPad. While the interest in iOS has remained stable, interest in Android for smartphones dropped from 86 percent to around 78 percent, and interest in developing on Android for tablets dropped from around 75 to 67 percent. King blames fragmentation in the Android product ecosystem, saying that it's "really starting to ding Android, and our developers have been, for the past year or so, very much a leading market indicator as to what happens to the different platforms." Comparatively, he says, "most iOS users are on the most recent version of the operating system, and [there is] a very set number of devices and device classes." The difficulty stems from the variations between the large number of devices that run Google's Android OS. Android devices outsell iOS devices, but developers have an easier time coding to suit just one or two established devices rather than hundreds. Apple's App Store still holds the crown in terms of number and availability of apps – a deal-breaker to many considering which smartphone to go with, though Android is officially the UK's favourite OS. Update: We have contacted Google who declined to comment on the report.